The annual march to end violence in Prince George is taking place Friday September 16th! 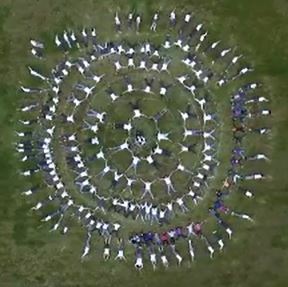 Students at the Immaculate Conception School created this human mandala to launch Victims and Survivors of Crime Awareness Week. Learn more about the week’s events….